Neem is native to India and from the leaf to the root, every part of the tree is useful. In Ayurveda, neem is considered one of the most potent ingredients that support ailments. It is deemed unique for its therapeutic value and powerful health promoting properties. Neem is a versatile herb and can be used in the form of a paste or as oil. It is best known for its anti-ageing properties and antioxidant properties. Neem tree holds a special mention in Ayurveda, where it is referred as Sarva Roga Nivarini, which means it is capable of keeping all the diseases at bay. 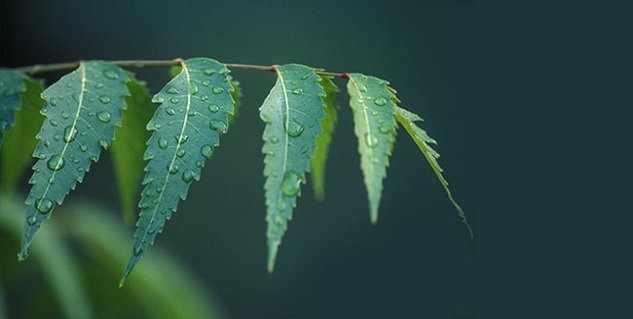 Neem extracts, containing curative properties have been used for health and overall well being from centuries. Leaves of this sacred plant with innumerable medicinal benefits also serve as the natural treatment for chicken pox. It is not just one of the home remedies for chicken pox; it’s the best and the most effective remedy that not only cures the chicken pox but also averts it from spreading. In a tub of lukewarm water, add some neem leaves. Allow the leaves to soak in the water for at least 10-15 minutes before taking the bath. For best results, you must take a bath with this home remedy for chicken pox atleast once a day. 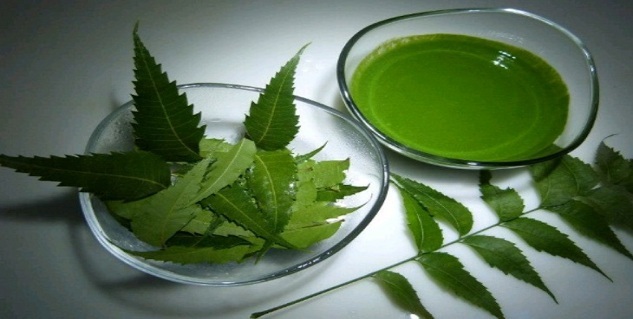 Prepare a paste of neem leaves and apply it on your skin. Leave it on the skin for as long as you can. If your skin begins to itch, you can apply the neem paste again and leave it to dry. But it is recommended that you apply this paste only after taking a bath with neem leaves water. 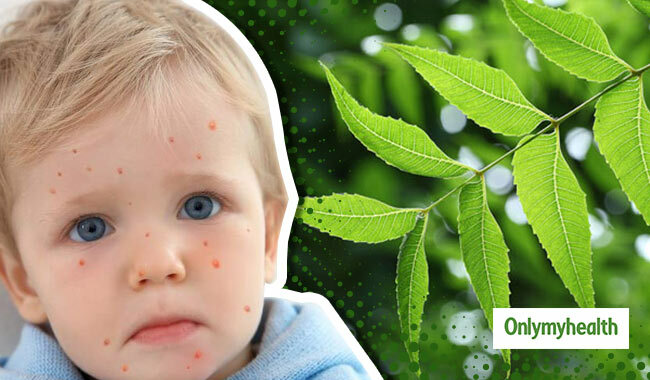 Another way to use neem for chickenpox treatment is to extract the juice of neem leaves and applying it on the skin. Application of neem leaves the juice on the skin is effective in reducing the scars and decreasing the chances of infection from spreading. Yes, this remedy may sound little weird, but it’s quite helpful. When you sleep on the neem leaves, the natural juice from the leaves soothes your skin. Besides, it will prevent you from getting scabs and the deep scars due to a chicken pox outbreak.